WJEC C3 June 2010 past paper solutions. 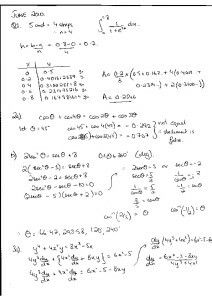 Unofficial Written solutions and methodology for the C3 paper. The questions to this paper can be found here. Like us on Facebook or follow us on Twitter to get notifications on uploaded past papers. ALM Cardiff - Getting you exam ready!